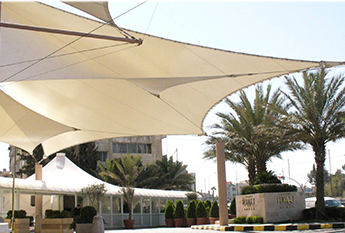 Awnings Center is one of the pioneer companies in Jordan which is specializing in designing and installation of membrane and tensile structure. 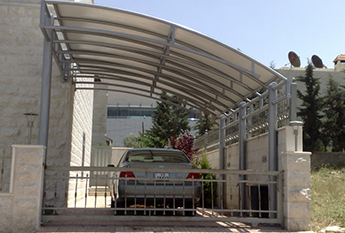 Awnings Center was established in 1993 , at first we were working on providing umbrellas, awnings, retractable awnings, tentsand parking systems. 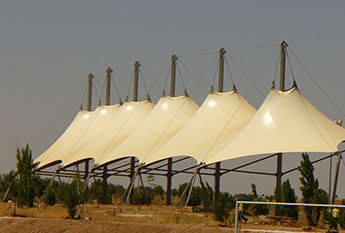 Later in 2000 we began to involve tensile structures in our projects we have the ability to carry out projects from designing stage, analyzing and to installation and delivery, we dedicate our hard work and enthusiasm to meet customer needs starting from designing membrane and tensile structures according to their vision, through more than 20 years of experience, the Awnings Center provides membranes, which have high specification capable to bear bad weather conditions, high temperatures and contains U.V protection. 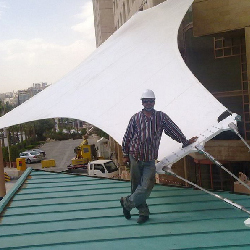 This experience which we gained during the course of our work enabled us to own a professional engineering staff with specialty in tensile membrane structure software, that gave us the ability to do distinct work and to be creative in Tensile field in Jordan on solid base. 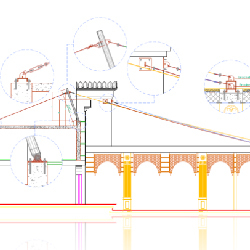 We provide our customers designs that combine beauty and functionality, the efficiency of our engineering team and . Our services include shop drawings, steel fabricating, fabric patterning, fabric sewing and PVC high frequency holding. 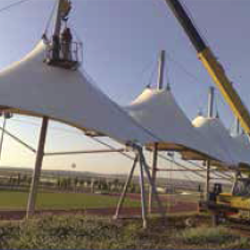 Our team is capable of installing large tension structures and we can safely and quickly execute your tension structure. 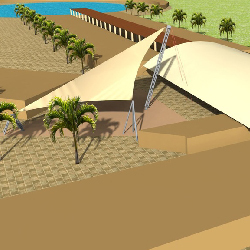 Awnings Center- Professionalism In Shading Systems , Meet all the needs of all sectors of tourism, economic and private. We invite you to download a copy of company profile. Designed by kabsetzr company. © 2018, Awnings Center.